Lankton is a huge inspiration for me as a doll artist and I was really delighted to have the opportunity to see the retrospective this month at Participant Gallery. Her life is just as fascinating as her work and I so appreciated that the curators reflected the importance of both in the exhibition. The center of the gallery held the collection of doll work in acrylic cases so you could examine them from every possible angle (thank you curators!!!). Surrounding the work were gorgeous fashion photos of Lankton – the way she wants us to see her, combined with horrific and very intimate sketchbook tear sheets about the process of sexual reassignment surgery, and 2 small video installations: one hilariously frivolous, the other incredibly dark and imbued with a heavy political sentiment. My favorite touch were the curio cabinets that lined the back walls, filled with mementos from her life. 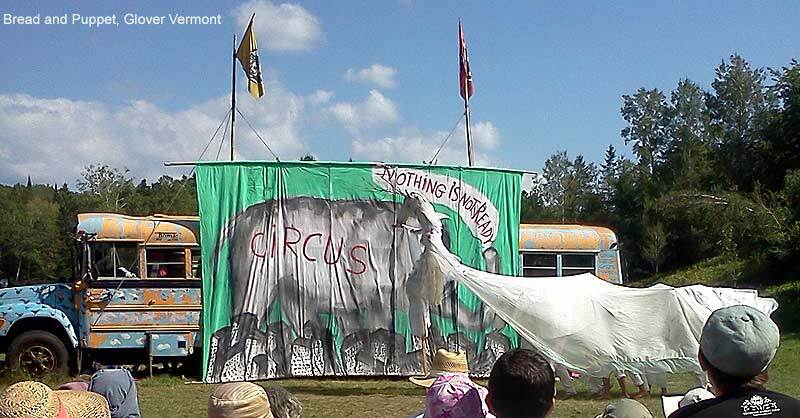 I have a confession to make: I have lived in Vermont for 19 years and I have never seen a Bread and Puppet performance (which is positively shameful considering that they are top 5 in a long list of important visual inspirations for me). This summer I made it there. 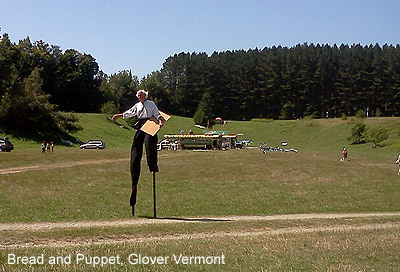 The museum was my favorite place – an old Vermont hay barn filled to the rafters with hundreds of puppets, mixed media installations, sketches and paintings, covering the legacy of the troupe. The puppets on the second floor are as tall as the haybarn. Do not forget to look UP when visiting the museum. People kept telling us to go into the woods. The way they were phrasing it, I was certain that we were going to encounter an unexpected zombie attack. But that was not the case. 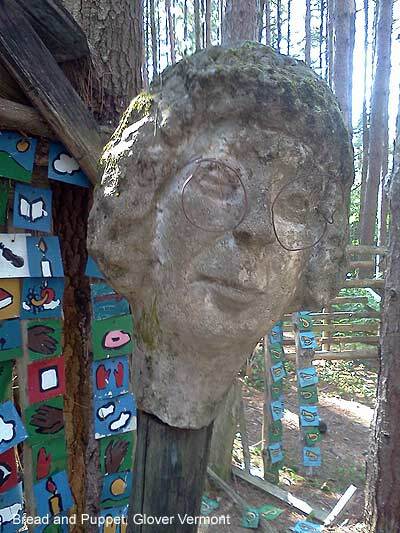 What lives in the woods is a touching memorial to all of the people who have worked for Bread and Puppet Theatre and have died. 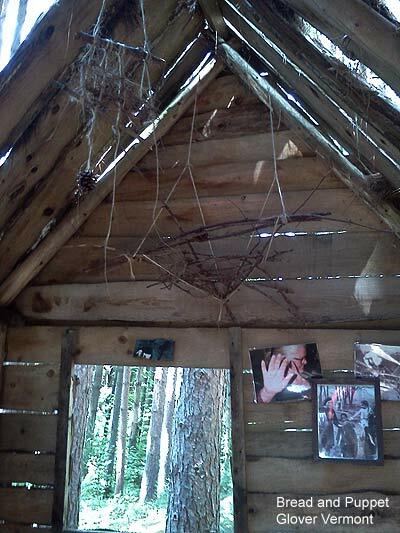 Each artist has their own little structure, like a teeny house, which serves as an effigy. The “Nothing Is Not Ready Circus” takes place in the grassy amphitheater, in front of a school bus, and comes with a strong Marxist political viewpoint that feels very old world at first but then ties in to current events. It is very Vermonty and liberal so if you have terribly conservative friends or family members, this may not be the event for you. Afterwards there is a performance art piece called “Pageantry” that takes place in an adjacent field. It is far more abstract than the circus, very slow moving and beautiful. The way the artists use the landscape to enhance the scope of the performance is amazing. The performance I saw was about the recent tensions in the Gaza strip. The show commences with its namesake: slices of hearty bread, smothered in a yummy garlic, olive oil and lemon juice dressing called “aioli”. Served for free and encouraged to share. People often ask what is the inspiration behind my work… one random example. Enjoy! I am completely obsessed with this artist right now. Linde Ivimey, I love you! She uses a LOT of bones in her work, as well as an almost obsessive savoring of fabrics and objects that have sentimental value that she transforms into magical creatures. She WEAVES bones. Yup, she actually weaves vertebrae together to form a decorative armor or shroud for her figures. Some of her figures are whimsical and some feel very dark – almost like voodoo dolls or fetishes. I knew she had to be a kindred spirit when I saw that in her studio she has orderly boxes of teeth and hair. And I am really fascinated by the fact that her figures are full of so much personality yet they have no faces. As someone who focuses on the face and can sometimes forget the rest, I feel like I want to do a few exercises like that. I tried that type of experiment a year or two ago with some of my wire dolls but they were more sculptural and cold. 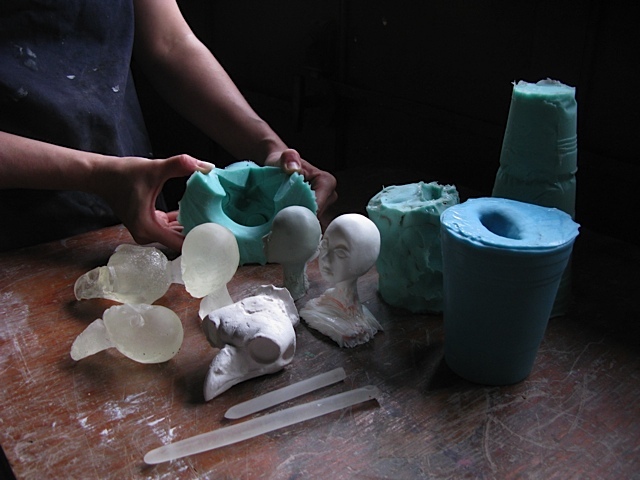 Really cool photos that Leslie Fry shot after I finished casting various things into some more molds we made. 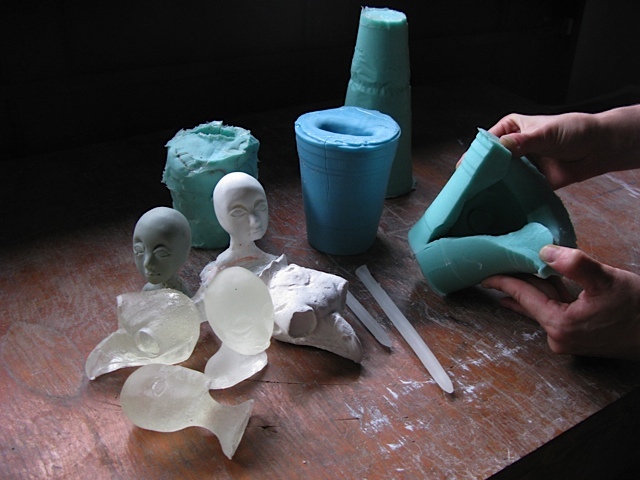 Shown in the photos are translucent resin, plaster, rubber, and plastic.